Tooth colored fillings restore your damaged teeth back to its normal function and shape. 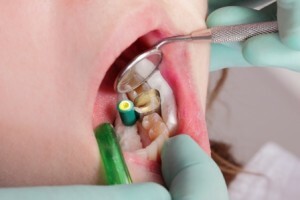 When you are given tooth fillings, the decayed tooth material is removed, the affected area is cleaned, and then the cleaned out cavity is filled with a filling material that is closely colored like your tooth. By closing off spaces where bacteria can enter, tooth colored fillings help prevent further decay while looking much like your original tooth. Palm Bay dentist Dr. Quadri will use tooth colored fillings for your cleaned out cavity so that you’ll have a more original looking set of teeth. With that, you’ll surely have a confident and more attractive smile. Call Dr. Quadri’s Palm Bay General Dentistry at 321-312-3040.